Long-term success is not something you can plan in the music industry, no more than you can anticipate the energy of an audience at a show or the outcome of an election. But, after 20 years, the record label named after a Chinese martial art known as the death touch has given more life to the music world than its founder Steve Aoki could've expected. 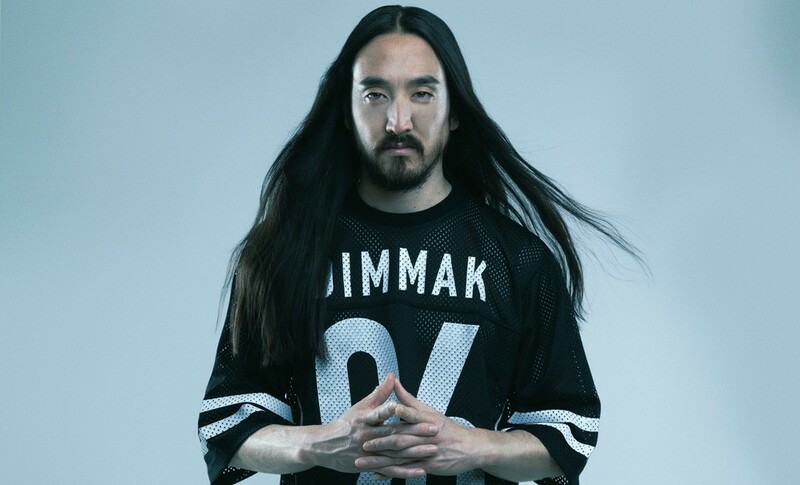 Dim Mak Records was the launching pad for the superstar DJ, one of the biggest names in EDM. He even became an unexpected global ambassador, as he sat on the floor of the final U.S. presidential debate in Las Vegas last month, rubbing elbows with senators and taking selfies with Bill and Hillary Clinton. “You're sitting next to senators and leaders of the free world,” Aoki recalls. “It was a very serious room, and you're so focused on what they're talking about that I really learned a lot.” Though the election results feel as if America just got a cake smashed in its face (and not in the fun way that Aoki does it at his shows), the fact that a DJ from Newport Beach was granted this sort of honor proves how far Aoki and EDM have come since he started deejaying in 2003. Officially founding the label in his Santa Barbara college dorm room in 1996, Aoki's path to success came through learning the DIY route in all aspects of business from recording to marketing and distribution. To this day, he keeps a hand on most of those areas himself (his next-door neighbor is actually Dim Mak's primary distributor). As bands such as the Kills started breaking big, Aoki says, he had to learn to grow his business on the fly. One such learning experience involved Bloc Party, who were a totally unknown band months prior to the release of their debut album, Silent Alarm, which initially sold 350,000 copies. That success led to a deal with Vice Records for the U.S. release. Even in cases where the records Dim Mak released didn't sell well, Aoki was never opposed to taking risks on artists he deemed to be great. He remembers signing a folk band called Young People that he loved enough to give them a shot. He signed former blues band the Soledad Brothers, whom he discovered while on tour with the Kills. When he heard Brooklyn-based experimental, instrumental band Battles, Aoki jumped at the chance to put out their 2004 effort, B EP. All along, Aoki has been leading his own successful trail as a DJ. In fact, he was already a budding talent in the DJ world in the years before the term EDM was even a thought. But pursuing his dream and becoming a star is not where the story ends for Aoki. He hopes to stay relevant—at least for another 20 years—and continue keeping his ears open for the next big thing. Dim Mak 20th Anniversary: SoCal Edition, featuring Steve Aoki, Migos, DVBBS, Autoerotique, Max Styler, R3LL and special guests, at Bolsa Chica State Beach, 17851 Pacific Coast Hwy., Huntington Beach; www.thesocialgroup.com. Sat., 2-9 p.m. $20-$80. 18+.